A stunning day’s weather welcomed LSW to the New course for the Presidents Cup, which partially made up for the appallingly early start. Judging by the scores, more people were suffering from lack of sleep than those enjoying the sunshine with a lot of Stableford scores in the 20’s. Noel Prentice is clearly a lark however, with an excellent 40 points. He was playing behind my group with new player and 4 handicapper Jonny Brock. When a ball landed on the notoriously difficult 200 yard uphill par three 4th hole, I assumed it was Jonny’s. He headed off into the green-side bunker to play, whilst Noel strolled up to mark his ball about 15 feet from the hole. I suspected he was playing well, and having left his name on a selection of flags, this was clearly the case. 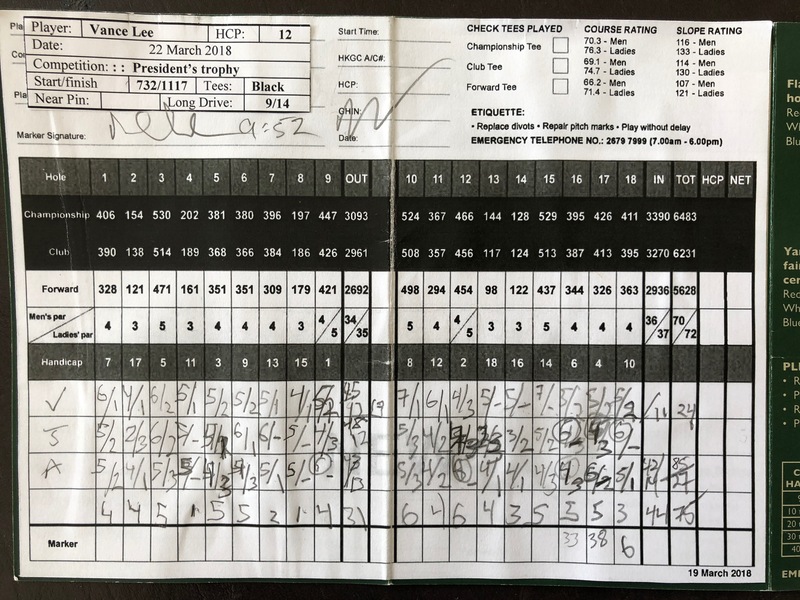 Kuch managed a level par back nine to collect 38 points (more often than not a winning score), but today not enough to beat the rampaging hack. Terry Wright stepped in to take up a vacant spot despite having a wrist injury which had still not properly healed after 6 weeks. 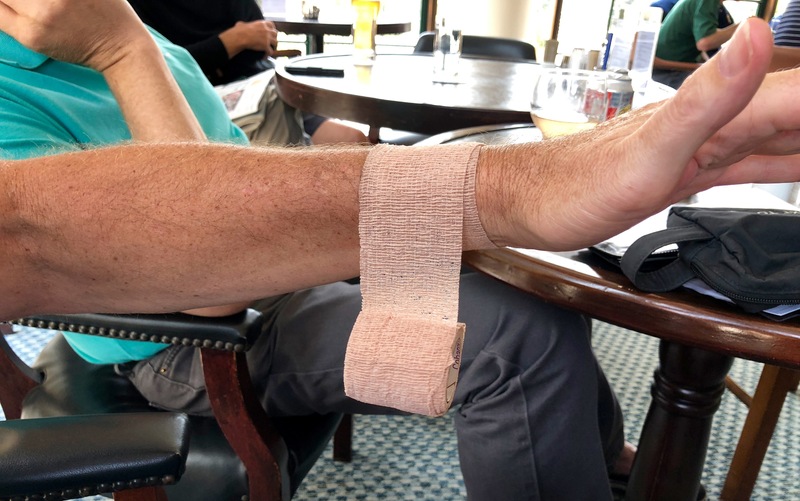 Some say the injury was a result of a mid-life crisis involving riding his daughter’s skateboard to the local 7-11. I can’t possibly comment. Whatever the cause, he was still able to hammer his drives into the blue yonder, but struggled with lies in the rough and bunker shots. There were also three matchplay events running (which may also explain some of the poor scores). Lorenz beat Dallas 1 up. Nigel Farmer and YB had a tough tussle which could not be settled even after playing an extra hole so they will have to find a re-match date. beyond JP’s septuagenarian eyesight to decipher. Another performance like that and he may find himself with scorecard duties indefinitely! Next event will be on the OLD course on Friday 20 April at 8.04 AM. 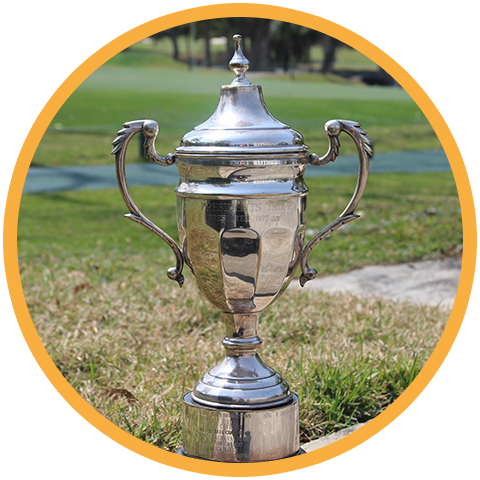 Stableford competition for the Rob Henderson Trophy. 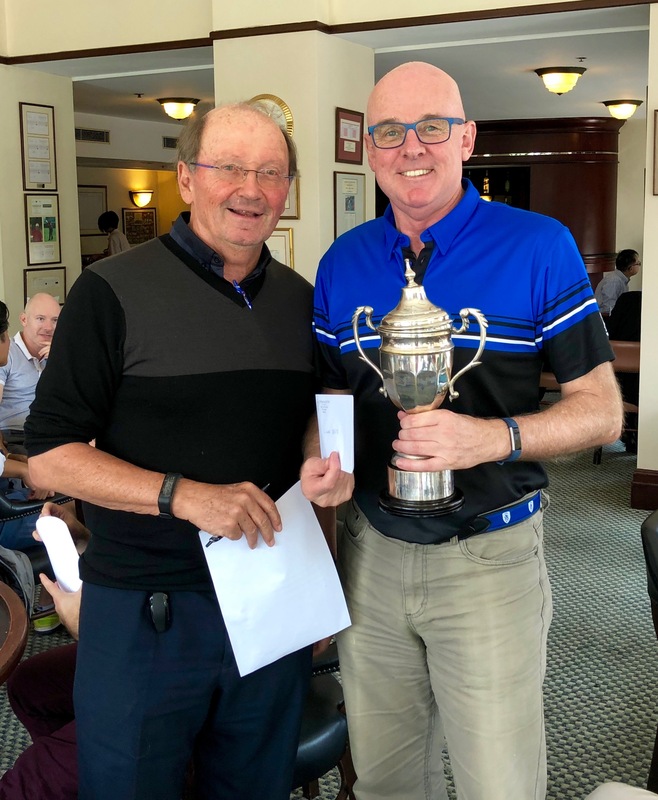 President’s Cup Winner Noel Prentice… Looking forward to his new reduced LSW handicap!